April 1943. Clinton, Iowa. 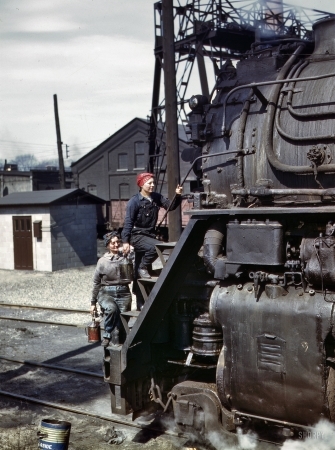 "Wipers for the Chicago & North Western RR, cleaning one of the giant H-class locomotives."